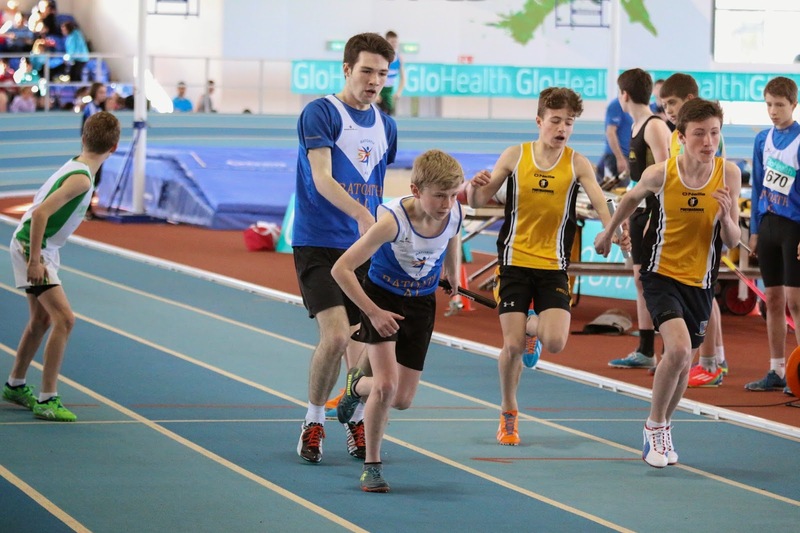 The National Indoor Relays were held On Saturday at Athlone IT, We had 3 teams competing from the club in what was a very competitive event this year with a large number of championship best records being set. With the uneven ages on the in the morning session the u13 girls team of Emma O’ Connell, Ella Healy, Aoife Rutherford, Lili O’ Connor and Aimee Doherty were on the track first and qualified by winning heat 3 in a close battle with Doneen Ac in the 4x100m, the u15 girls 4 x 200m quartet of Ivie Okome, Aine Cooney, Emma Coroner and Karen Hayes also qualified in a tough heat just edging out Galway City Harriers in the 4 x 200m. The finals were as usual a tight affair, the u13 girls team who are now well accustomed to performing on the big stage ran a great race and had to battle all the way to secure a bronze medal with a great final leg from Ella Healy just edging out Doneen Ac again on the finish line. The U15 girls ran out of their skins in the final in what was the most competitive final of the day, the winning team taking 2 seconds off the National record, the girls were very unfortunate to finish 6th after a great battle on all legs, the girls time of 150.31s would have taken silver in this event last year. Their day will come. 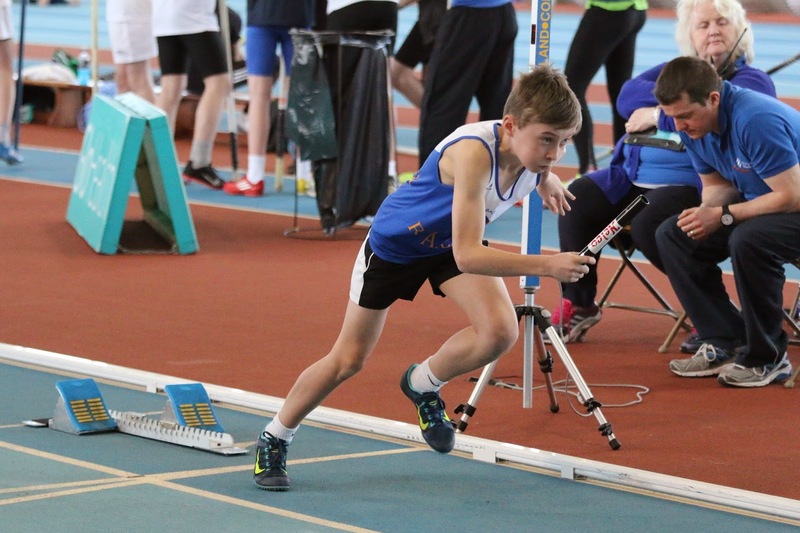 The u14 boys were on in the afternoon, the 4 x 200m team of Oisin Kelly, Tom Kilgannon, Matthew Buckley and Ben Toole had a solid run in their heat to qualify for the final. With another National record set in the final by a very strong Portmarnock AC team medals were going to be a tough ask, the lads all ran well and came home 5th in a time of 1:51.55. Thanks to all our athletes who have trained so well over the past number of weeks with great commitment shown and it paid off with all teams making it to their respective finals.